Part of the Artists open studios event taking place in Sheffield and South Yorkshire over two weekends in May. Come and see my work space, work in progress and work for sale. Ceramic solar powered garden fountains will be shown operating in my garden with plenty of space to sit and enjoy the spectacle. Refreshments will be available. Exhibiting with members of the Northern Potters Association in Sheffield Botanical Gardens along with over 350 artists and craft workers showing more than 4,000 pieces of work. 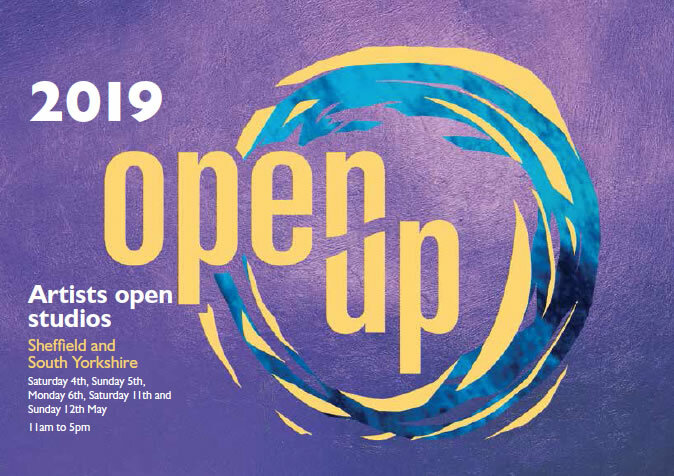 NPA members exhibiting include Claire Allam, Paul Burton, Olinda Everett, Debora Frith, Brian Holland, Bev Seth, Sarah Taylor Kathy Watson and Trudy Weir. a form of decoration made by scratching through a surface to reveal a lower layer of a contrasting colour, typically done in slip on ceramics before firing.Inspired by the contrast of white slip on terracotta and black slip on stoneware, sgraffito has been the main decoration so far this year.In domestic ware, jugs are featuring largely along with small coffee cups which lend themselves well to the sgraffito decoration.Bolstered by the warmer weather, I have made a series of big moulded bowls and bird baths to get water in to the garden for bird and insect life. I have had fun making lots of small garden birds and researching and copying their markings to link with the bird baths. Applications in for stalls at St Mary’s Maker’s Fair and Sharrow Vale Market in December. Check back for dates and further details.